I can vividly remember taking timed multiplication tests in third grade. The grip around my pencil would tighten as I watched classmate after classmate turn in their test before me. My mom tried everything to help me learn facts including purchasing a math facts music cassette (too bad Madonna wasn’t singing on this groundbreaking album, I might have listened to it more). Students are expected to master multiplication facts in the third grade. When they come into my fourth grade classroom, I am lucky if they remember half of the facts from their previous year. As mathematical concepts become more complex, the necessity of knowing these facts becomes greater. I have seen student after student show the understanding of how to complete a long division problem, but they are unsuccessful with the concept because they get “stuck” on a math fact. We need help. Teachers become frustrated, but more importantly students and parents become frustrated. A coworker suggested using Digit Whiz in my classroom and until recently I hadn’t analyzed the program enough to see the value of this resource. Digit Whiz is a FREE online program that requires flash. Therefore, if you are a classroom with iPads you will need to download the free digit whiz app. A teacher, parent, or interventionist can set up individual accounts for each student. When a student first accesses this website, they must take a placement test. This scores their ability to successfully identify math facts from one to twelve. Then, the student, parent, and teacher can access the data gained from the pre-test that identifies facts a student needs to learn. Digit Whiz offers games to review these facts and a student can retake a quiz on a specific fact family at any time. Inside recess is always an interesting experience. I get to see apps students choose to use while on their “free time”. This past week, my students had an indoor recess. A few students figured out how to play these online games against one another using Digit Whiz, and this activity spread like wildfire. Most of the students in my classroom were playing math fact games against one another on their FREE time! Without even talking, they were communicating and challenging each other’s knowledge of math facts. This program also calculates a class average. I shared this average with my students and told them that we would track our progress as a group week after week. This has really motivated students to apply themselves during stations using this app. 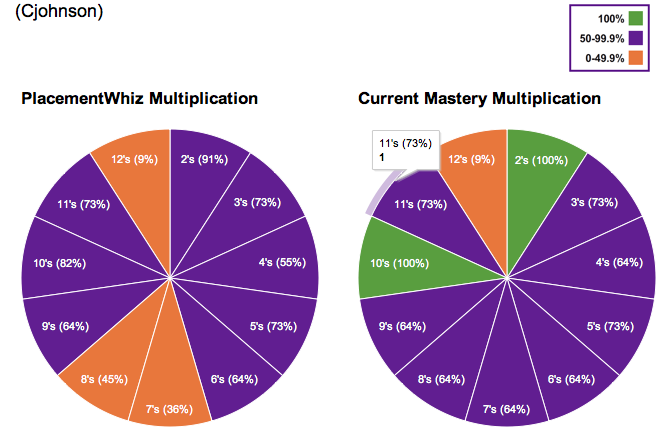 For those students that are already masters at multiplication, Digit Whiz offers the same placement test and support with: division, integers, like terms, and solving equations. Other classrooms on my grade level are willing to try this program out as well, and I am now considering a Digit Whiz class contest. The class that has the highest average before standardized testing could win an ice cream party! This could even motivate classrooms on different grade levels, or a school wide facts challenge! 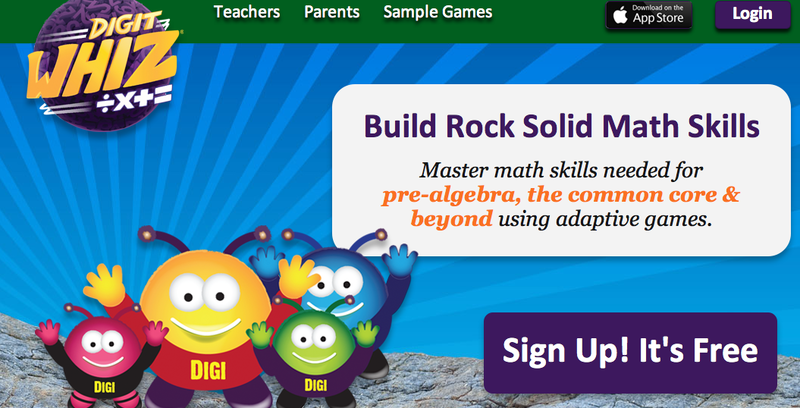 I know Digit Whiz could help your student’s path to math fact mastery today. 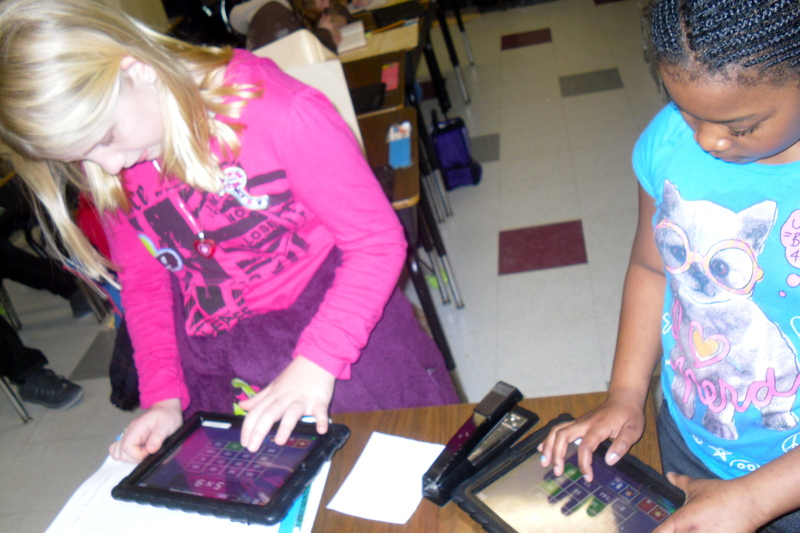 « I Have A Class Set Of iPads, Now What?